Dyneema® is extremely cool to work in and it offers the best abrasion resistance of the high performance fibers. 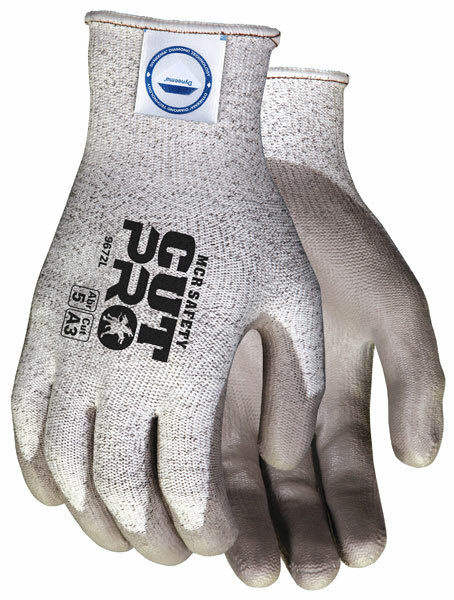 The Memphis Dyneema® offerings vary in a seamless shell that provides abrasion, tear and cut protection. The various palm and finger coatings enhance grip and wear. The 9672 Memphis Dyneema® PU provides a 13 gauge salt and pepper DSM Certified Dyneema shell with gray PU palm and fingertip coating.